Together with our dear friends at the innovative coffee roasters Johan & Nyström, we created this imperial stout with a sweet kiss of coffee. 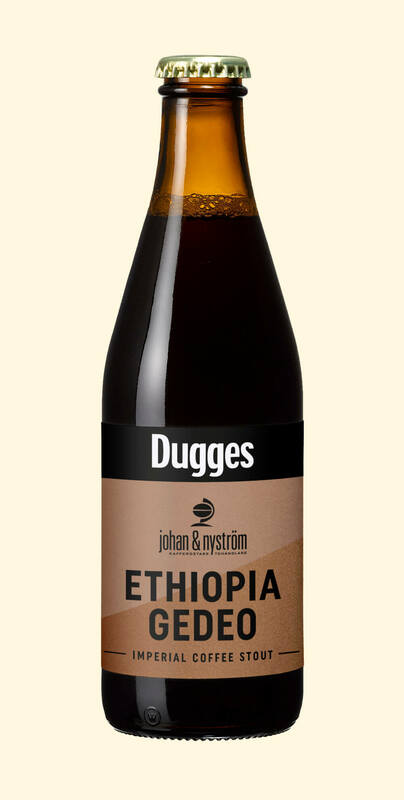 We call it Ethiopia Gedeo Coffee Stout as a salute to its origin. Enjoy! A friend of ours introduced Ola to Johan Ekfeldt. Johan was then one of the people running Swedish coffee roasters Johan & Nyström and a real explorer of tastes and experiences. Ola and Johan started talking. Craft Beer and artisanal coffee have always, somehow and for some reason, walked hand in hand. So a collaboration was the obvious thing to do. Now, you can put coffee in any beer type, but it does not always turn out good. Putting coffee in an Imperial Stout almost always makes liquid heaven... which is good. Really good! We we're very happy how this turned out. And, it started on a path we're still on.